I think New Zealand Dollar’s longterm trend should be weakening, because the economy environments of New Zealand is not positive, and export is its main income earner, so weak NZD can help their economy. All this downhill cheerleading is silly. 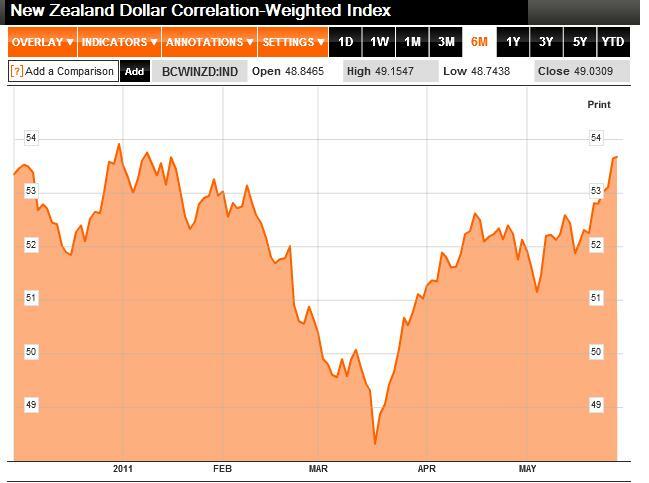 The NZ$ is supported by excellent commodity fundamentals and is not being inflated to confetti like the US$. Its rising is sensible and has much more to go. With the trade surplus, there is no reason to wish it down — keeps petrol & imports prices down and makes it harder for foreigners to buy us up. Long may she rise. Can you say hello China, goodbye NZ?